The UWELL Crown IV Vape Tank gives you everything you could possibly want from your sub-ohm tank. The easy top fill system allows you to completely unscrew the top cap, making topping off your tank with your favorite vape juice easier than ever. 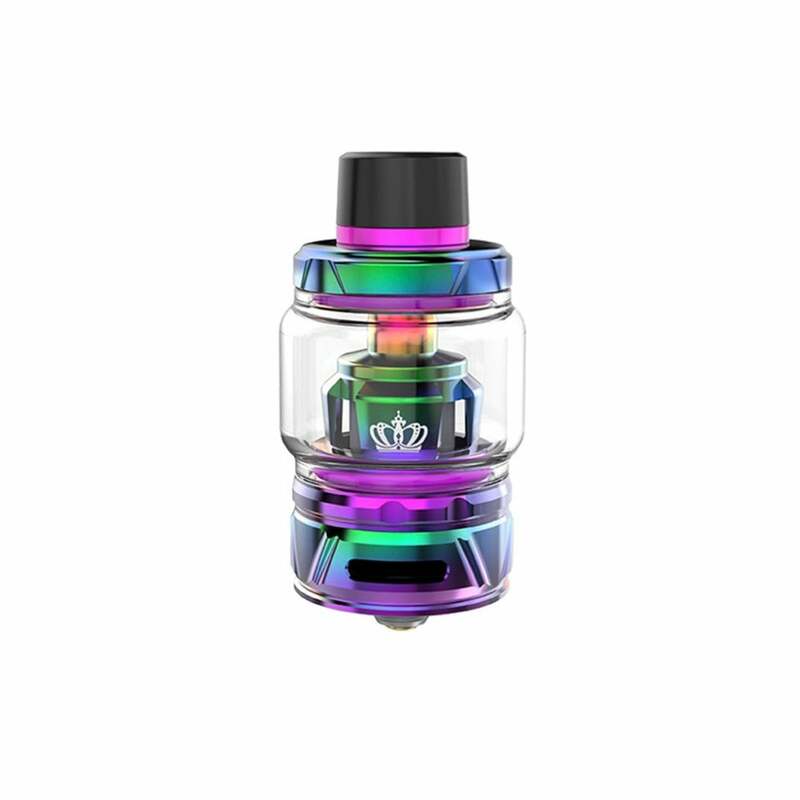 The UWELL Crown IV tank uses the same steel used in luxury watches for longer life and higher quality, and each tank is hand polished to perfection. UWELL's patented self-cleaning technology absorbs the vape juice in the condensation holder and automatically vaporizes it, lessening juice leakage and giving you more bang for your buck. UWELL Crown IV Vape Tank provides you with clean, smooth flavor all day and night long. An excellent Sub Ohm tank, the build quality is superb! Coils are easy to install and work very well, can't comment on how long they last yet as I've just received my tank. The production on the .4ohm coil that comes preinstalled is good, though the flavor of the vapor is what really stands out. As for the "Self-Cleaning" tech, so far I think it works great! Moving from my Smok Prince TFV-12, which was a leaky nightmare, to this tank has been great. The quarter-screw top fill cap works like a charm and isn't prone to coming loose like you may experience with swivel caps. Overall this tank has met and exceeded every expectation I had for it. If you're a mid-range wattage vaper, you'll be hard pressed to find a better tank!